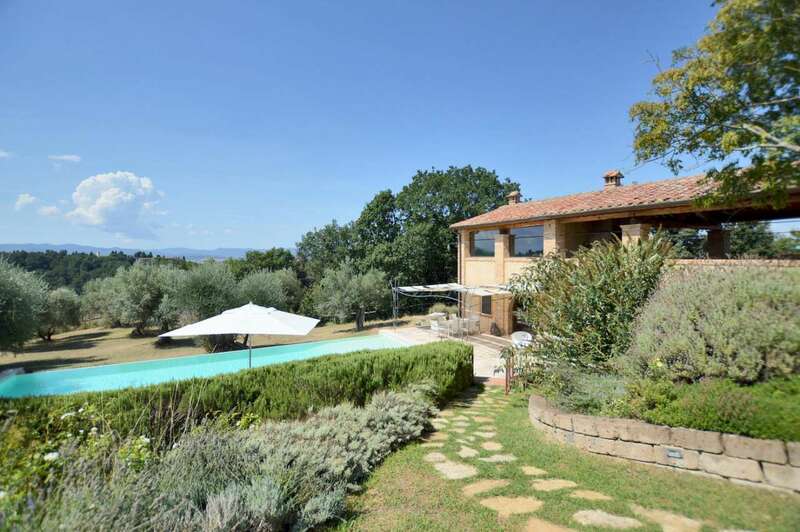 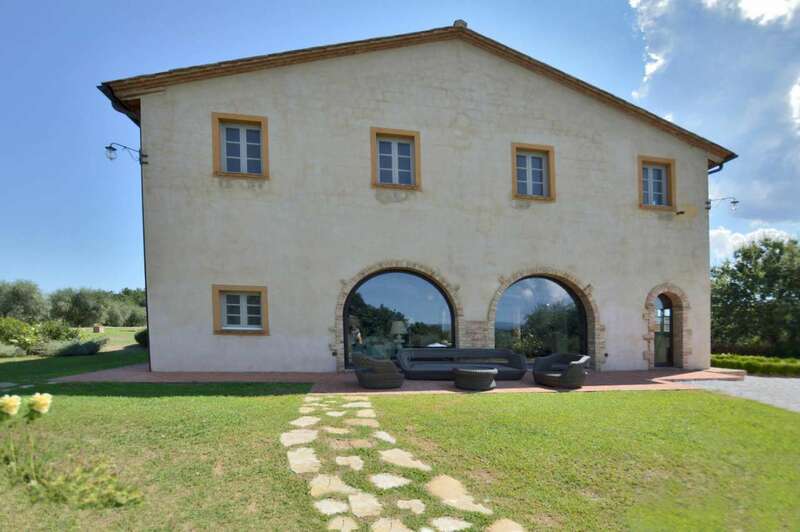 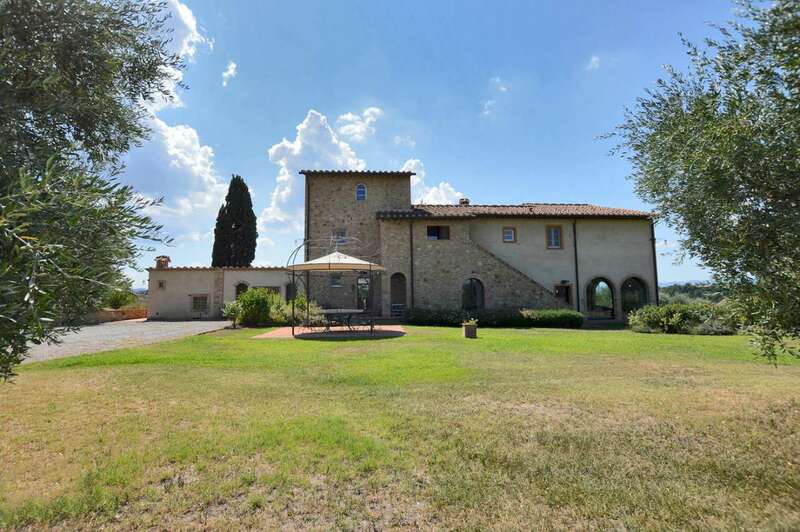 This superb country property is presented in immaculate condition and stands in an elevated and isolated position on 5 hectares of land (12.5 acres) with spectacular panoramic views. 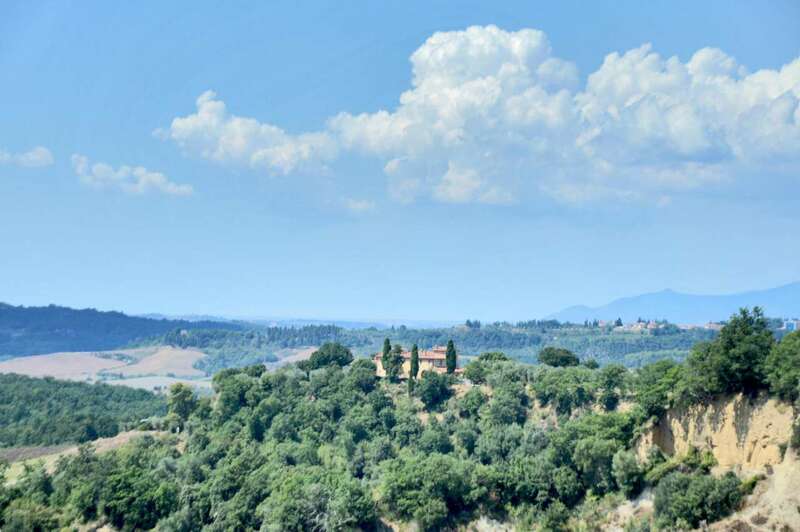 The extensive views reach across the town of Volterra, the rural Tuscan countryside dotted with picturesque medieval villages surrounded by olive groves and vineyards. 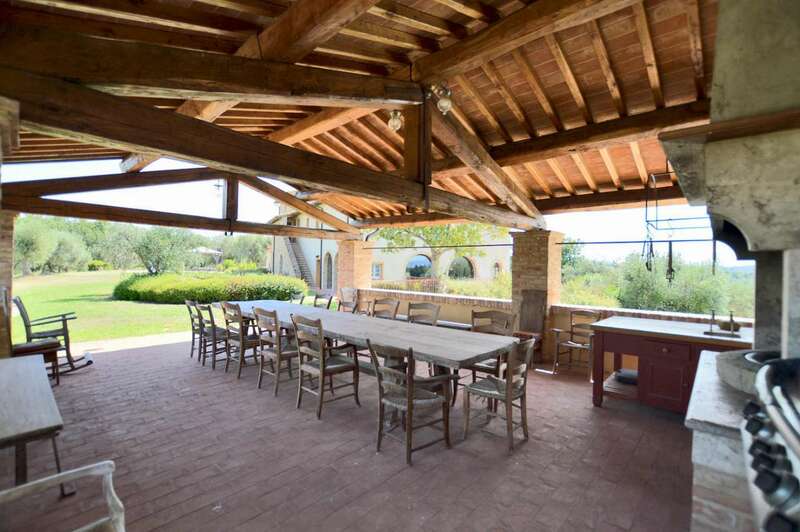 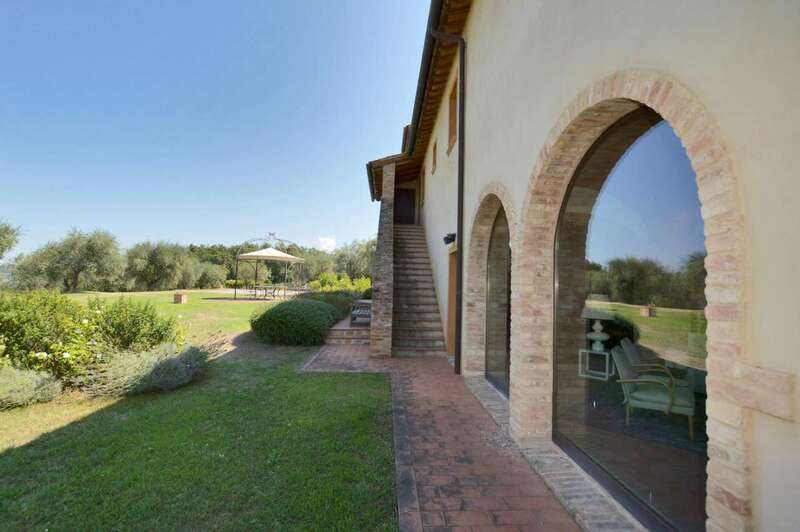 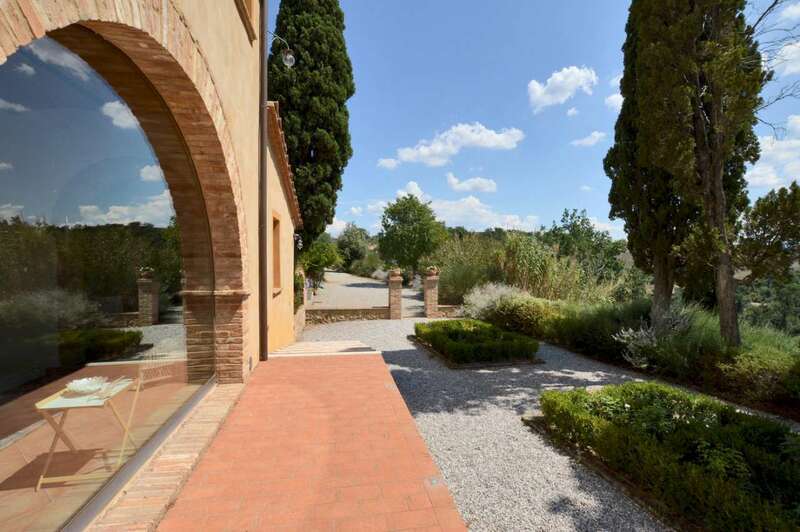 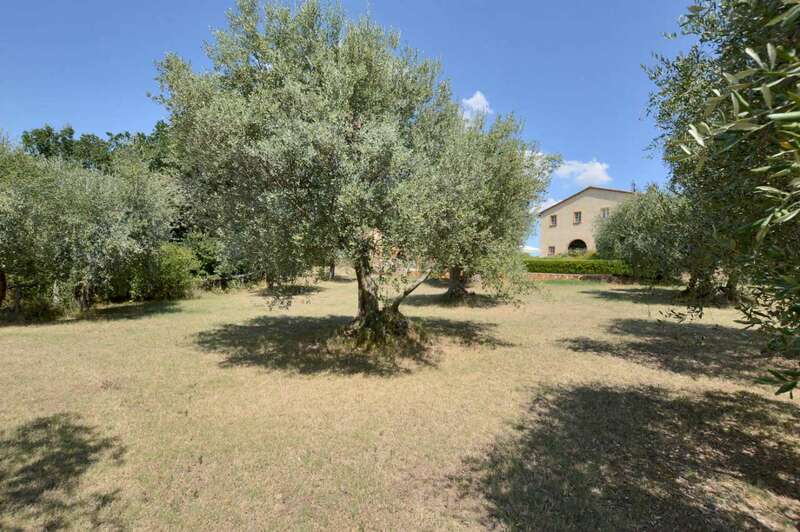 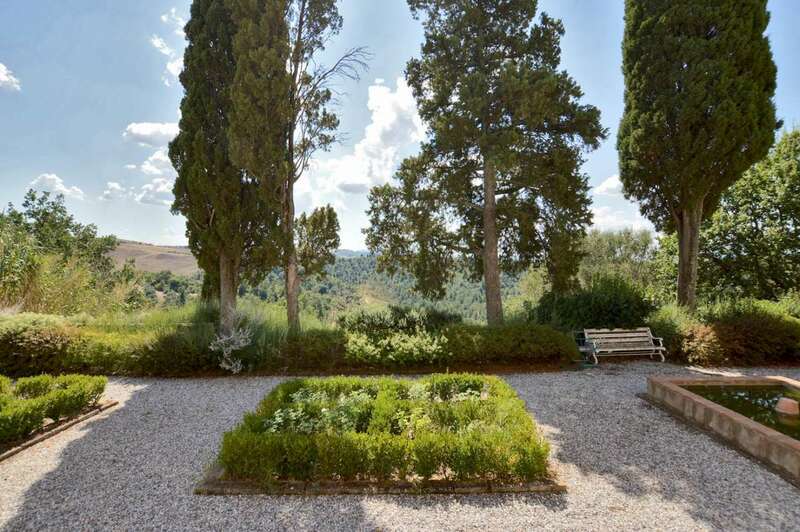 This gorgeous country residence has landscaped gardens, an orchard, olive grove, vineyard and a lovely small lake that supplies water for irrigation. 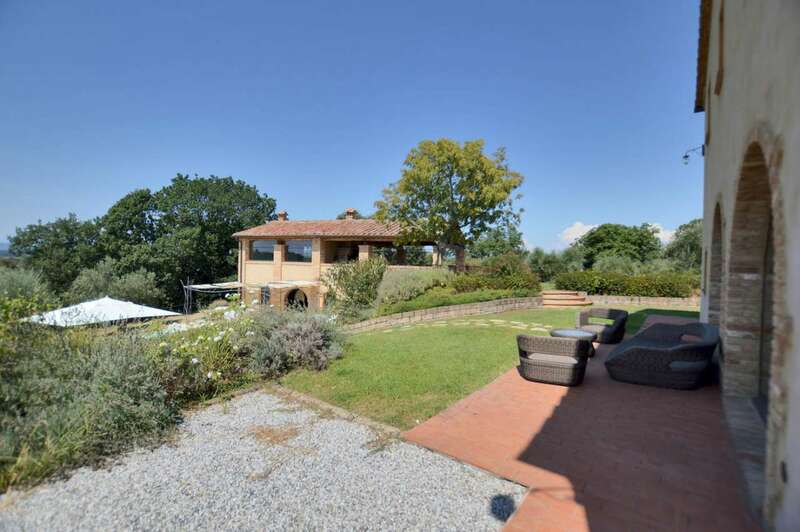 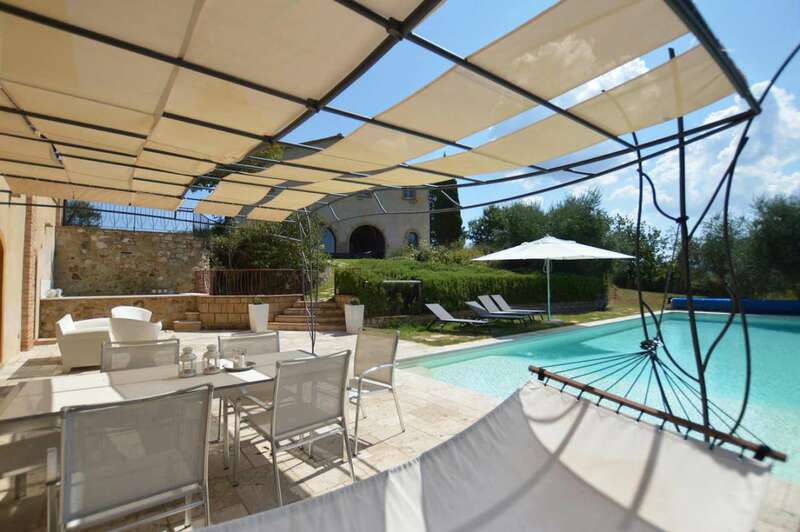 In the garden there is a wonderful heated,15m x 5m, infinity swimming pool and heated Jacuzzi, a playground for children and pizza oven with barbecue- area. 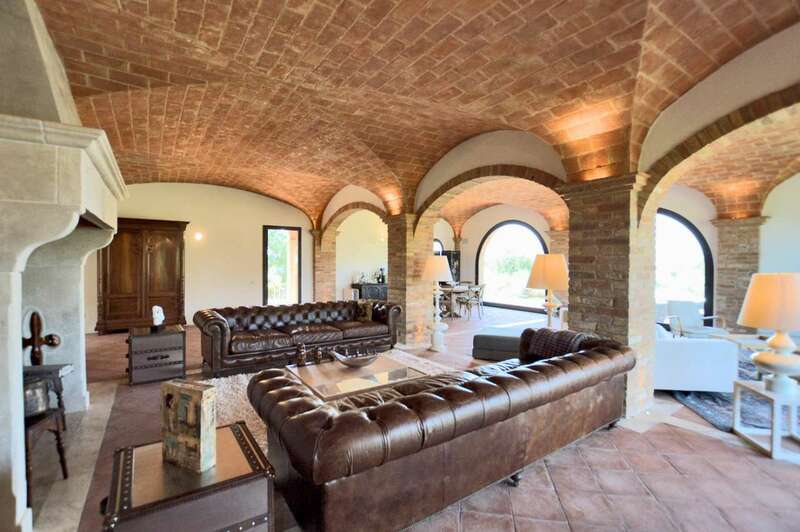 The property is accessed via a 4km long track (white road) that runs within a larger property that is currently a game/hunting reserve. 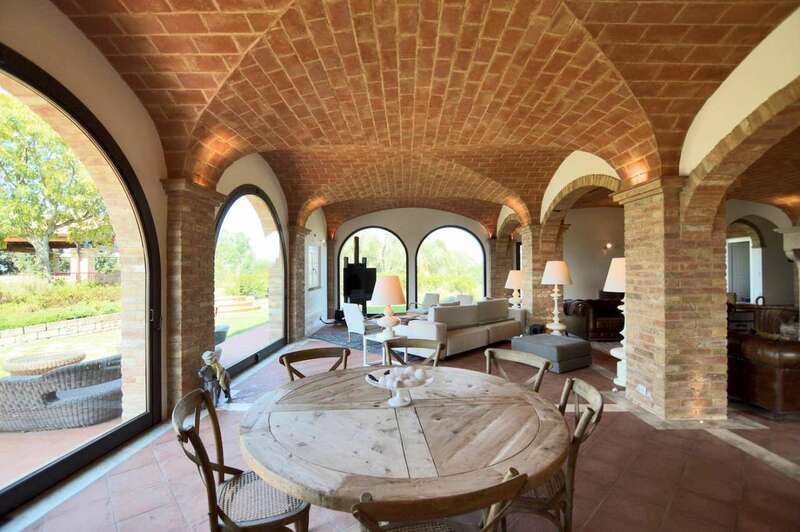 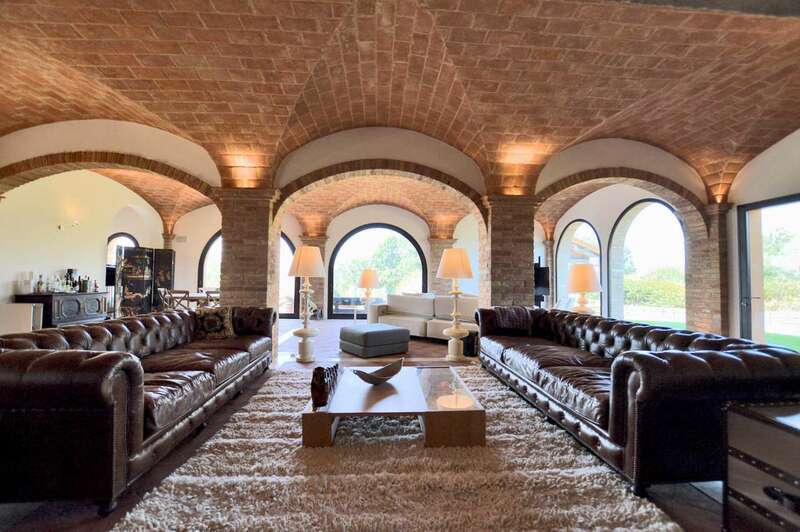 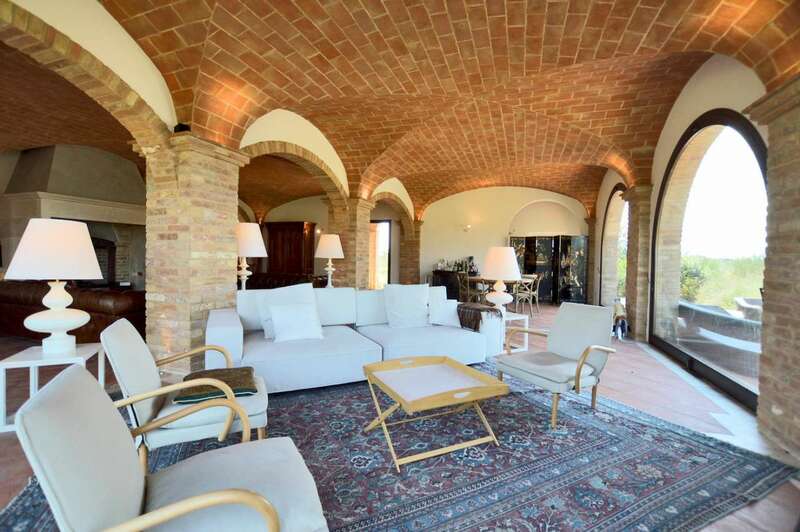 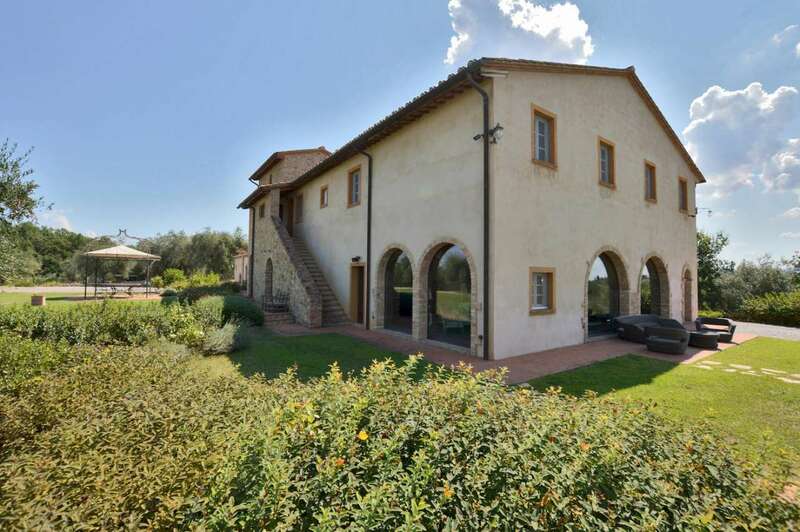 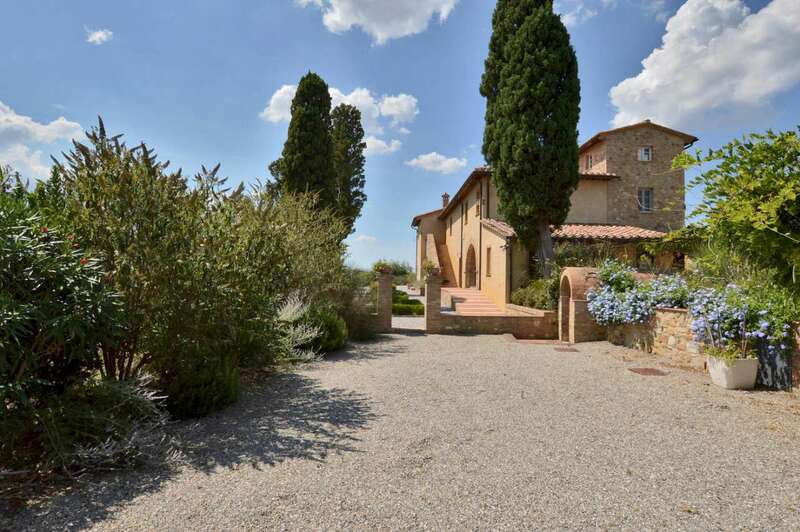 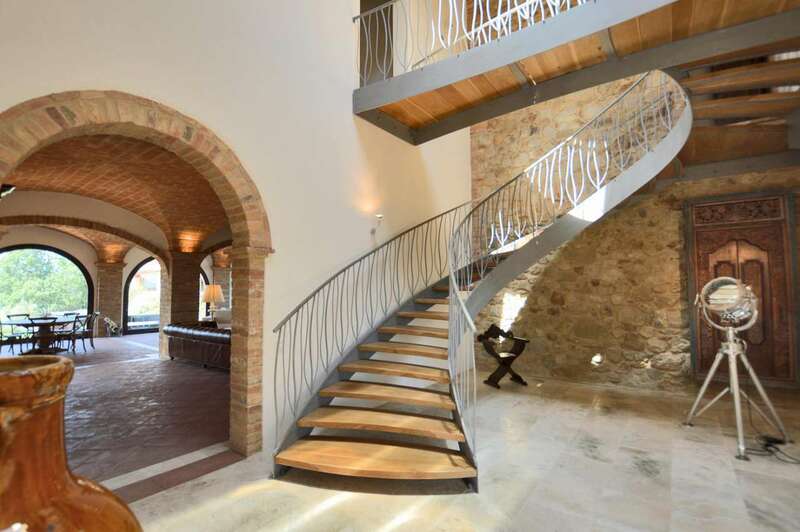 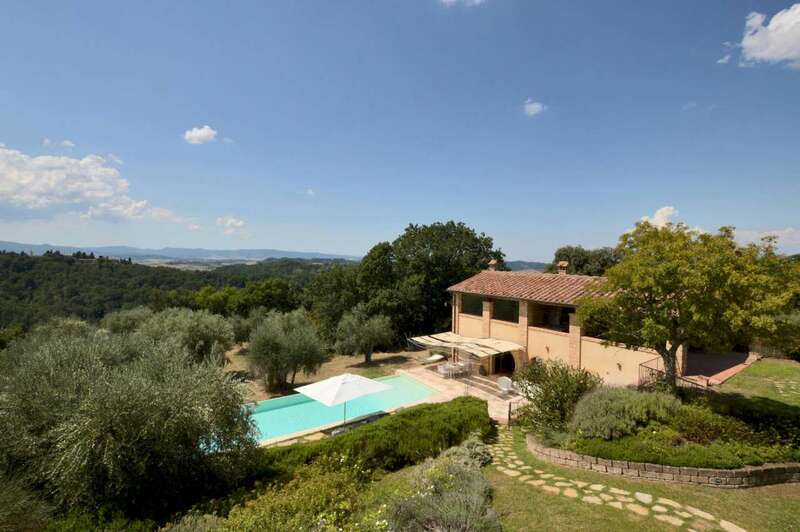 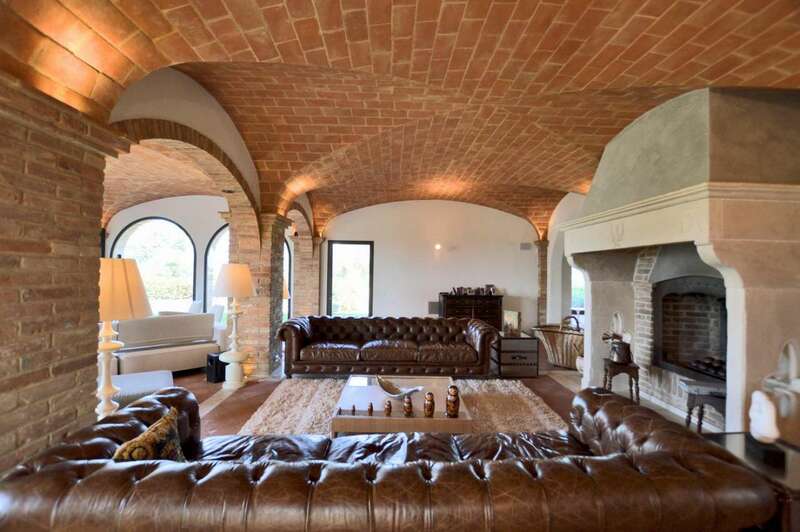 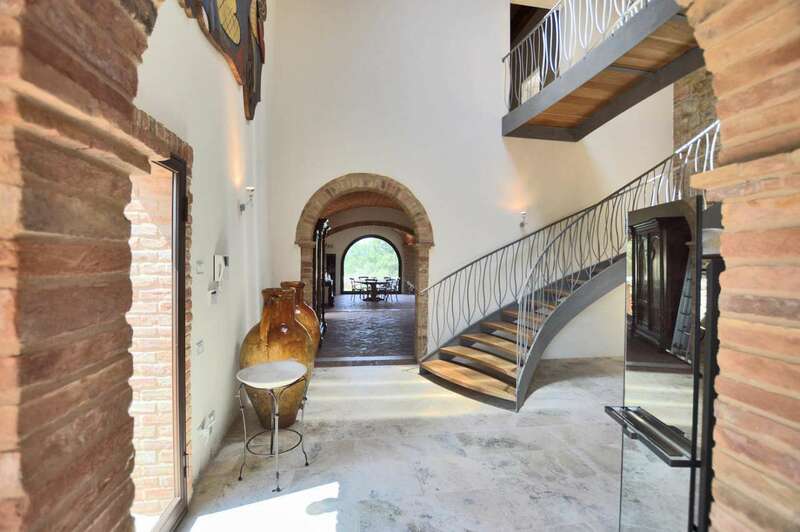 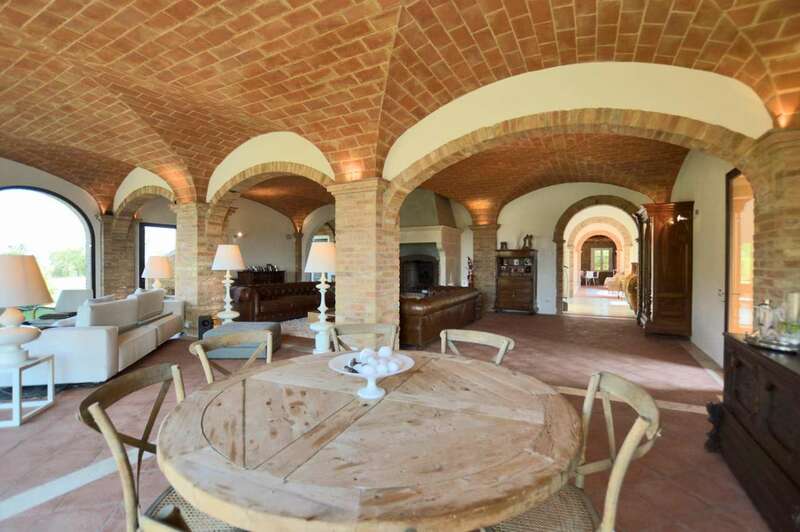 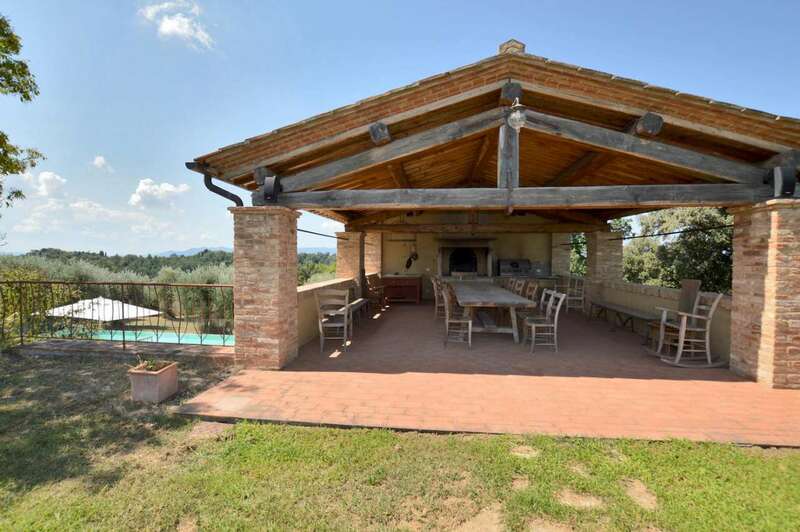 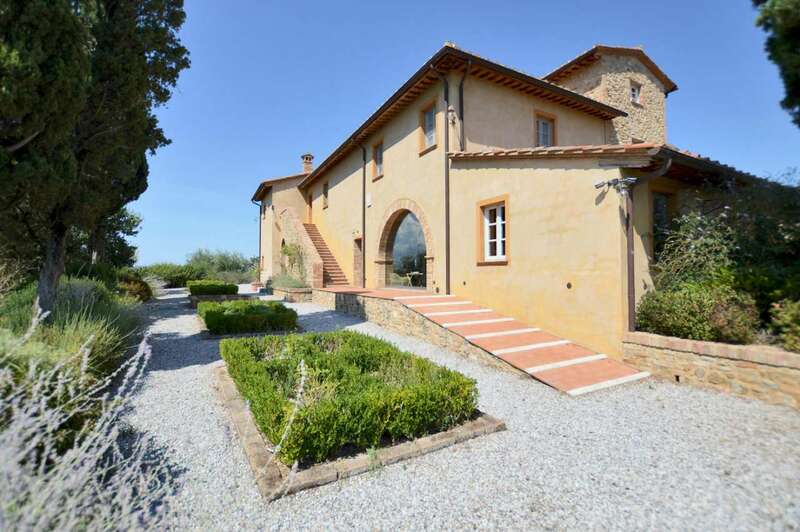 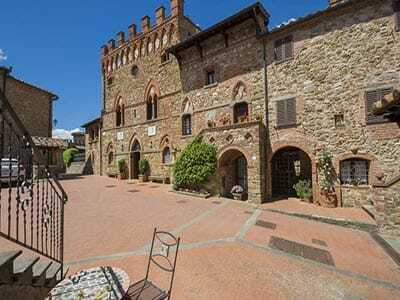 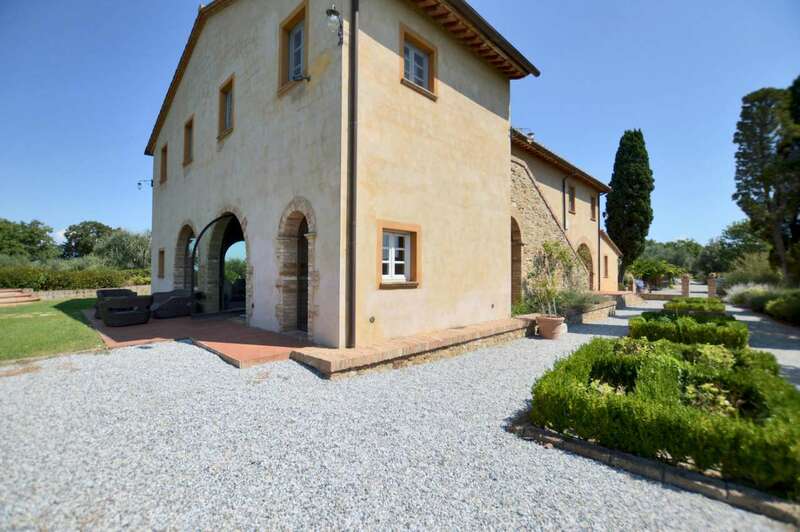 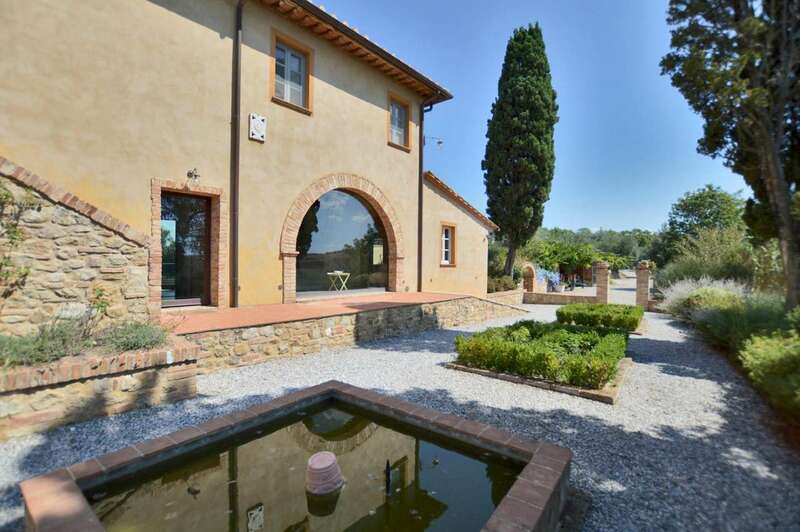 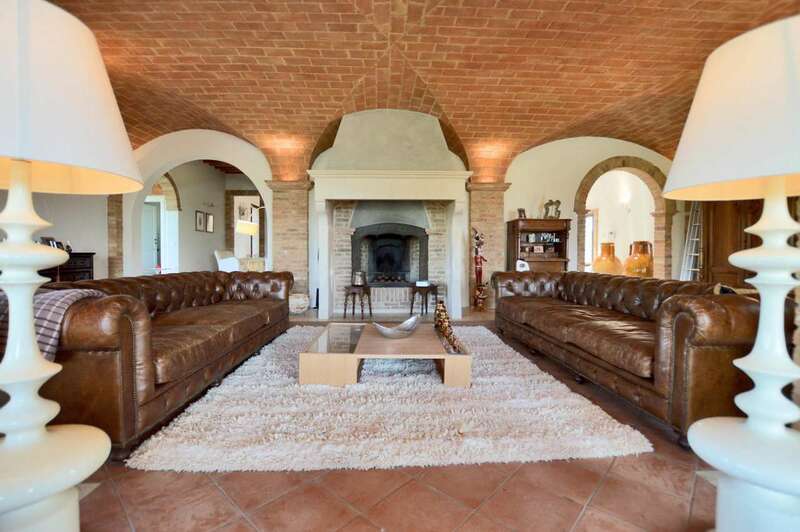 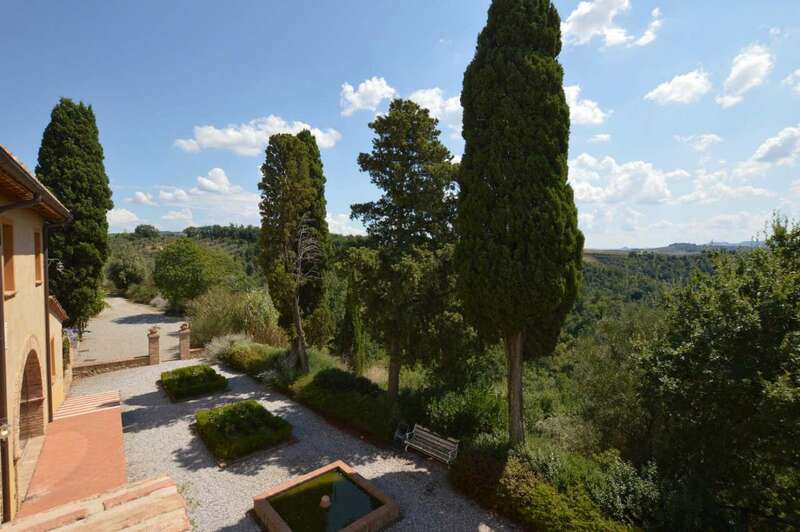 This splendid villa, dating back to 19th century, was fully and superbly restored in 2010 with much consideration to traditional detail with the help of modern day techniques making this property a perfect combination of old traditional Tuscan style and contemporary comfort . 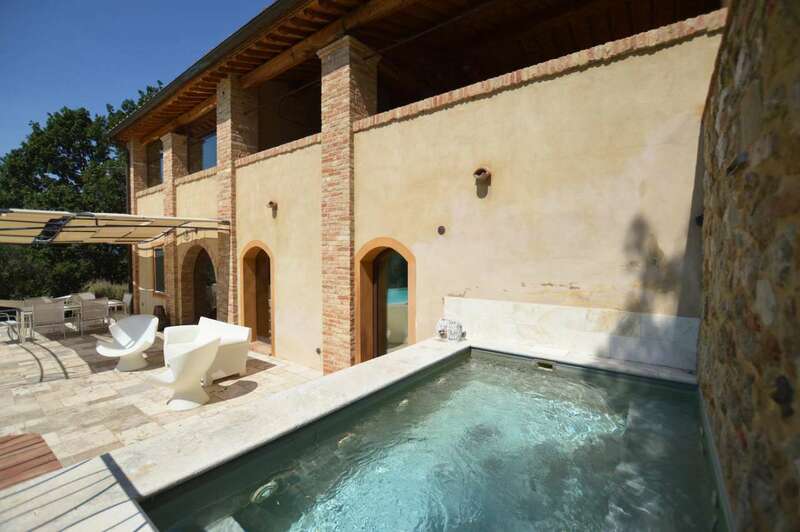 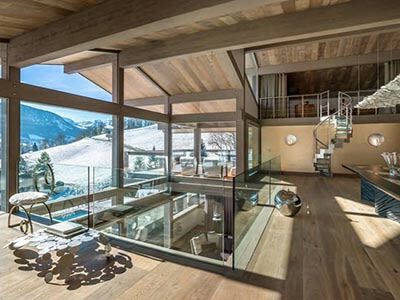 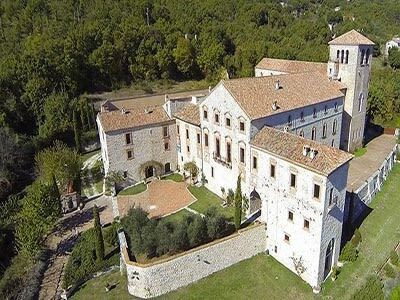 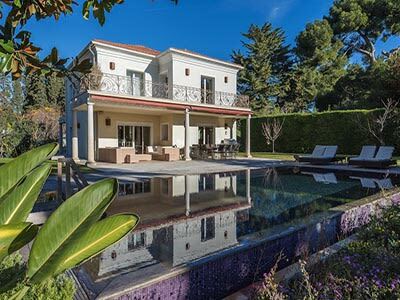 The main villa offers generous and superbly appointed accommodation arranged on two levels besides the tower and measures approximately 685m2. 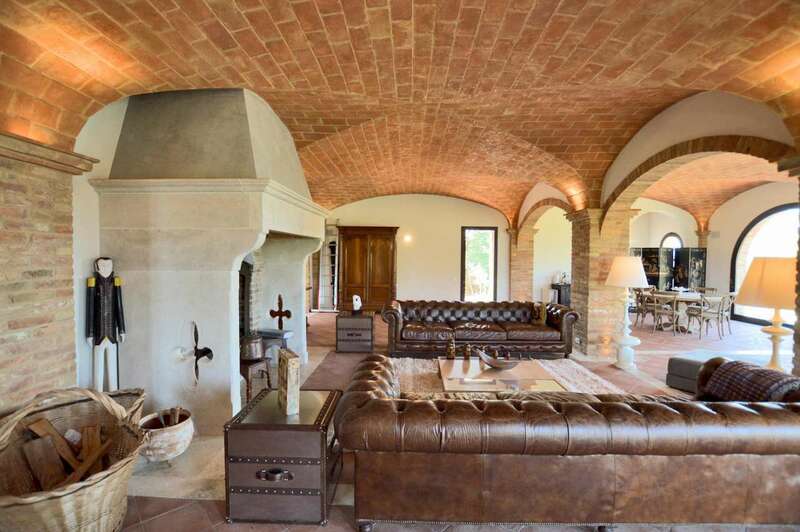 The ground floor features a large entrance-hall, a big living room with open fireplace, high vaulted ceilings and views across the swimming-pool, a wide dining room that can hold 14 people, an office/study-room with en-suite bathroom and storeroom, a functional utility room, another storeroom and boiler-room. 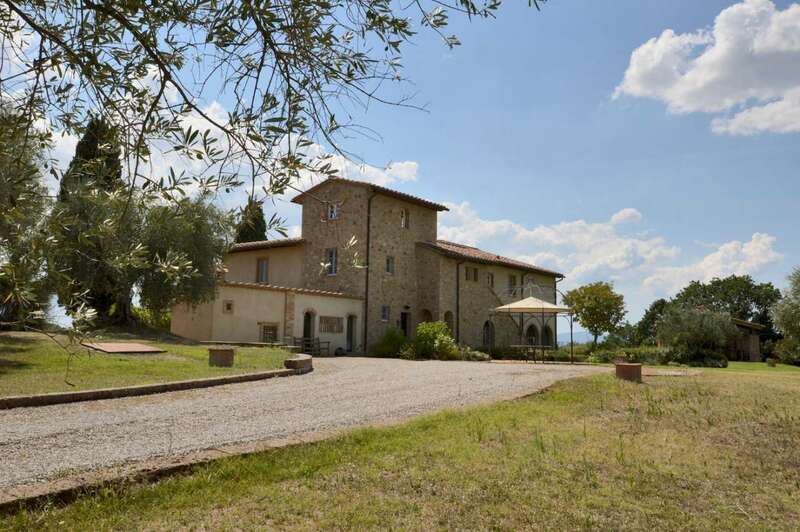 There is a large sleeping area on the first floor including a superb main bedroom with en-suite bathroom, free standing bath tub and shower room in addition to a double walk-in wardrobe, two generous double bedrooms with en-suite bathroom (each bedroom has its own access from outside), two further double bedrooms and two bathrooms. 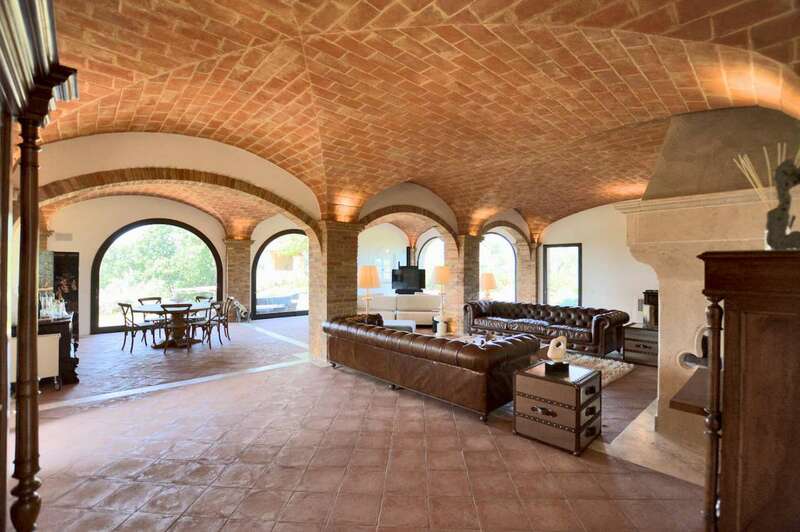 On the next level, within the tower there is a spacious games room (that could be used as further bedroom or office) with stunning views across the countryside. 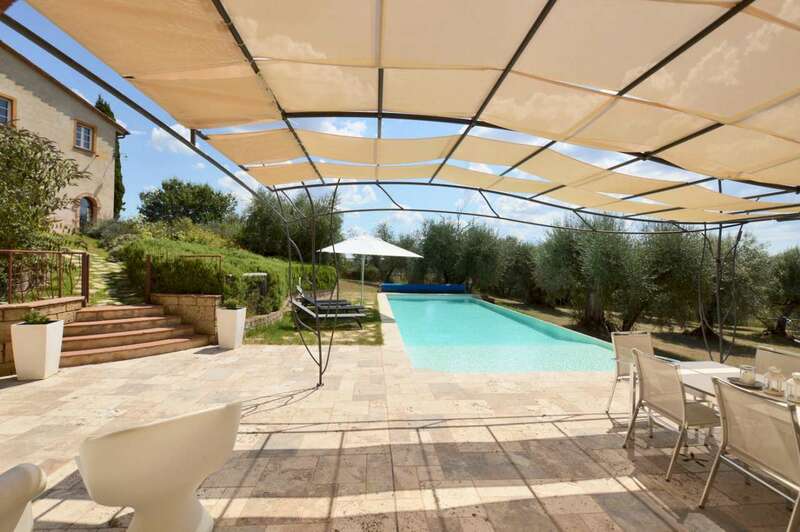 Close to the main villa is a charming barn, facing the swimming -pool area, fully restored and converted in to an exquisite guest house with two bedrooms, two bathrooms and large open plan kitchen with dining/living room. 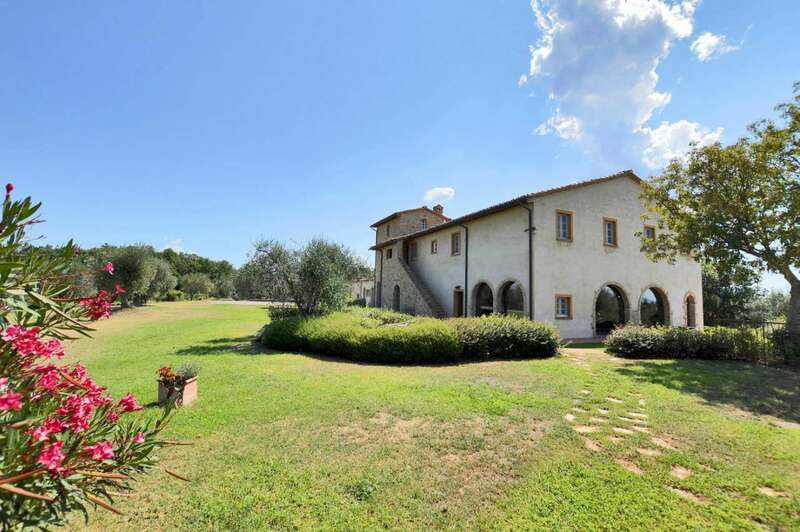 The guest house features a lovely large portico with pizza oven and small outdoor kitchen.